General Hospital spoilers and cast news reports that GH was indeed lucky to get the 3-time daytime Emmy winner, Billy Miller, from The Young and the Restless to play the beloved Jason Morgan. Steve Burton left GH after 22 years as Jason Morgan ostensibly because he wanted to spend more time with his family. It looked like he retired from this role and soaps, but after a short time, it became apparent that he and Jill Farren Phelps, the producer of The Young and the Restless, had in fact made a deal for him to come on board this other popular soap. It is interesting to note that even after Steve Burton left General Hospital and insisted time and time again that he was happy playing the character of Dylan McEvoy on the Young and the Restless, his massive fan base never for a minute gave up believing that one day he would return to GH as Jason. Billy Miller had huge shoes to fill and he knew it. When the news broke that he indeed would become Jason Morgan, the controversy raged. Only his fans from The Young and the Restless were happy beyond belief that he would again be seen on daytime TV. The General Hospital fans wanted no part of him and wasted no time voicing this opinion over and over again on social media. But Billy is smart enough to know that trying to play Jason the way Steve did would be a mistake: “It would be ridiculous for me to mimic.” Mind you Steve was classy and gave Miller his blessing to take the role long before he was officially hired. 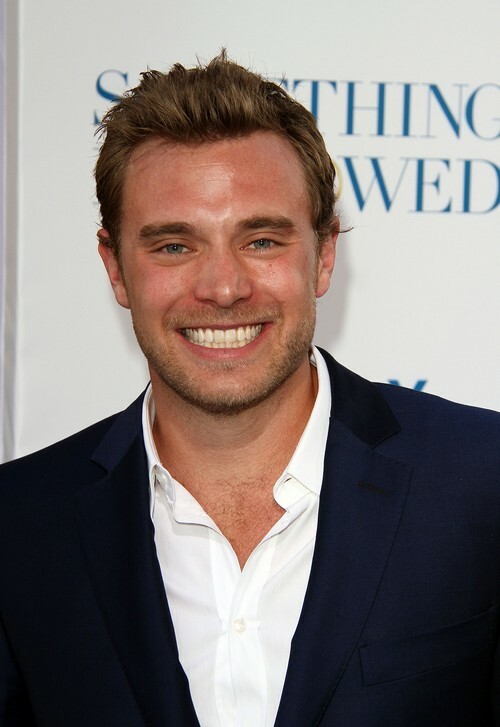 We know that Billy Miller is a versatile actor with great charm and talent and are anticipating his continued success playing Jason Morgan. Do you think Steve Burton looks back and wishes he was still on GH? Is Billy a satisfying Jake/Jason? Let us know what you think in the comments below. Return to CDL for more hot General Hospital Spoilers tomorrow!